Weeklong MLX exclusive sale - This asset 50% off! From 16. April to 21. April! to Grab it while it's hot. A set of 36 unique rusty old props perfect for horror games, industrial scenes, farm scenes, and any other use. Doors, lanterns, hammers, axes, wrenches, chainsaws, cupboards, barrels, chairs, candles, ladders and so on. 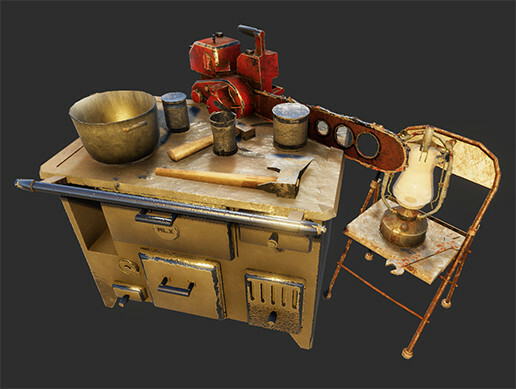 All materials are completely PBR and use Unity's standard shader. All models have Albedo, metallic+smoothness, normal and AO maps. Textures are 2048 for big props and 1024 for small props.